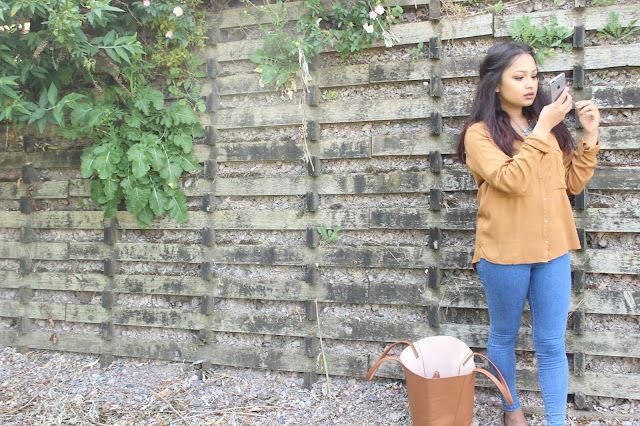 So here I am again trying to start another 'series' on my blog - watch me fail miserably guys. I really want to keep up this time though because I think it'll just give you guys a insight of my favourite beauty items of the month and some inspiration. I do monthly favourites videos on my channel every month (https://www.youtube.com/user/littlelondonvlogger) but its all random things including skincare, fashion, foodie favourites etc. This months go-to products are fairly new to my possession, but it hasn't stopped me from using them constantly and has seriously been right by my side and my go to when doing my make up in the morning. Let's get cracking! Recently reviewed on my blog, click here to read. This foundation has given me such a perfect base to work with and when your base is looking good it's always so much more satisfying to do the rest of your face. Super lightweight, and just such beautiful finish, I use this with my real techniques beauty blender, it sinks into my skin and looks so flawless. Also I recommend you read/watch videos to get more information on the product before splurging £32, I always say that because I've made mistakes like that before so please make sure you get matched correctly and samples! This stuff just makes my under eyes glow glow glow! I absolutely love it, adds such a luminous look to my face. It blends really well using brush or sponge, I usually set this with my Ben Nye Banana powder but there are days I'm lazy and I skip that step, so instead of the powder making it slightly matte it remains super glowly and in your face which I 100% don't mind. OMG! I love love love this, reminds me a lot like the MAC forever out of stock eyeshadow in 'Uninterrupted' (update: its now been discontinued) beautiful orange shade for all of the eyelids or as a transition shade. The texture is super buttery, myself and P from skinfacebeauty bought this at the same time and we was so so excited - we both highly recommend. I think the shade really compliments my eyes and complexion as I do have an olive skin tone, give it a swatch next time your at a Bobbi Brown counter. This shade is so gorgeous - something a little out of the comfort zone for me as I don't really wear bright corals but this one won me over! For £.7.99 you really can't go wrong, I think I've found my summer lip shade! Hi my lovelies! Hope you're all doing well. So I'm back with another foundation review, and it's pretty new ish to the make up counters. 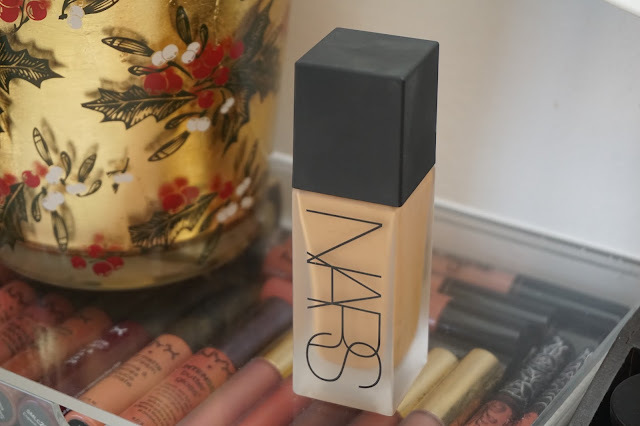 It's the 50/50 hyped up NARS Luminous Weightless foundation, this was released early Feb and I'm quite late to the band waggon but I decided to read a few reviews here and there before spending £32 on something I'll end up abandoning and hating. So let's start with the packaging of this, which I'm pretty chuffed with. I'm living the frosted glass and the fact that this foundation comes with a pump makes me so happy (boo you sheer glow!) I think it's ridiculous when foundations don't come with pumps, why am I paying so much for you to give me something without a pump? Get outta here. Rant over and onto the shades, now this is where I was a little annoyed. Originally I was colour matched to Barcelona which I am in the Sheer Glow, so me being me I thought yes it matched perfectly even after looking in the mirror etc, and after being told the shades are still the same I was convinced, so I purchased and did some more shopping around Canary until I bumped into my best friend and her response was 'why do you look grey' referring to the NARS Luminous Weightless side, I didn't stutter because after looking in the mirror I noticed how weird it looked, it was grey yet I had such a peach undertone. So I went back and changed for the shade up which was Syracuse. It is a good match, but is more of a summer shade when I have tanned. What would've been perfect is Barcelona and Syracuse mixed for me, NARS definitely needs a in between the two shades to match all you NC37 skin tones. 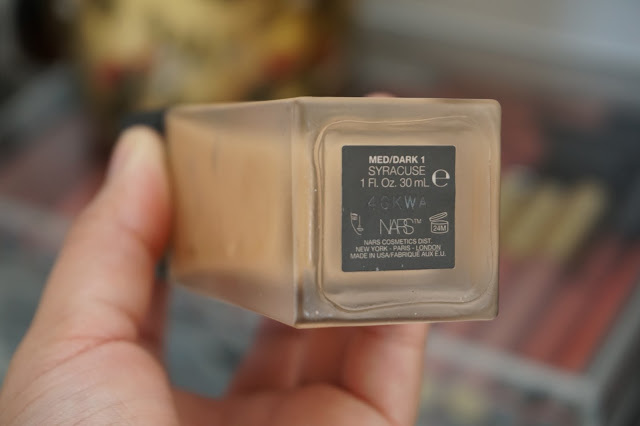 The foundation has phenomenal coverage, I agree with it being very weightless on the skin even with the amount of coverage it gives (medium/full) you'd imagine it to be heavy and mask like - a little bit like how the Estée Lauder Double wear which can look quite cakey when layered. The foundation claims its 'semi-matte' which I personally think is not true, it looks matte but it doesn't give that horrible I can't move my face without my foundation creasing feeling. It isn't as luminous as I thought and was hoping it would be, but it does make my skin look incredibly flawless. Also, the formula is weirdly very runny - I wasn't expecting that at all so as you can imagine the first pump made me screech. Make sure you really shake this up before using it! I would say this foundation is very good for special occasions e.g weddings, birthdays etc. I wouldn't wear this every single day because I don't need heavy coverage regularly and its just personal preference. I currently have dry patches around my face, especially my under eyes. I noticed the first time I applied this after my normal moisturising routine it clinged to the patch, so the following day I used it after applying my body shop elderflower eye gel to see if it would make any difference and it really did! I was so impressed, foundation didn't cling because I made sure that area was very hydrated and smooth for a better application. So just like most of the reviews that I have read prior to buying the foundation they have said its important to have your skin hydrated if you have drier skin. Overall I would say this foundation is a 7/10. First downside being it clinging onto dry patches which means probably purchasing a hydrating primer which = spending more money. Second is that the shade range isn't the best, and you can go terribly wrong, and again you could end up spending more money if you have to buy two shades to get your right match. Also, many have been asking me since I have used the Sheer Glow which one I prefer, I have to say this one is winning. Sheer Glow is very hard to build on as I feel like it cakes up, and looks thick on my skin. When I used Sheer Glow I had pretty oily skin, although it's not as dewy as I imagined it to be (it was more matte if I'm honest with the slightest glow) it did still stay on my skin considering it was very hot and humid when I would wear it. I think Sheer Glow is still a good foundation, I just think Luminous has won me over with the pro's that I have mentioned above. 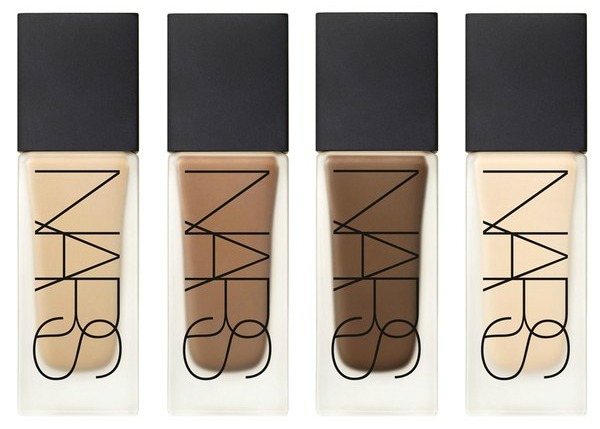 Never the less, if you are after a full coverage foundation, that's very long lasting yet weightless on the skin - this may be your next purchase!